Raspberry Pi .deb package at https://www.cqrlog.com/download. I'm using Raspian 8.0 (jessie). 180730 11:16:47 [Note] /usr/sbin/mysqld: ready for connections. From this, it doesn't look as if the MariaDB CQRLOG databases were intialized at all. Can anyone help sort this out? According to the change logs, MariaDB has been supported since CQRLOG version 1.8. Are there other diagnostics I can run to help resolve this issue? I replied to the previous postings. I previously had version 2.0 running without Mariadb installed. What I don't understand is why V2.3.0 needs Mariadb as I thought CQRLog used MySQL as the backend database. Currently I am thinking of compiling from source. trying V2.3.0 in a clean install under another version of Linux. Hi, Dave, I saw your response to my initial posting. I'm not sure how to use the older version packages of CQRLOG. You're right, they don't come as armhf.deb packages, so I don't know how to install them. I didn't want to install Pascal on my Raspberry Pi to compile the source. I'm going to try to install MySQL today, to see if I get the same diagnostic messages that I got from MariaDB, and confirm that CQRLOG 2.3.0 doesn't work, out of the box, on either one of them. Package libhamlib-utils is not installed. However, again, the databases don't seem to be initialized. /var/log/mysql.err was present, but competely empty. Any further tests or diagnostics to run? Thanks for any help, advice or suggestions. OK I did not realise that the source was in the Delphi dialec of Pascal just assumed "C". Don't think I will now try compiling from source. The last time I used a Pascal compiler with an ARM processor was in the early 1990s with the original ARM processors and that was with ISO Pascal. What I am going to try next is a "clean" install of Ubuntu Linux 18.04 on an old Laptop. Then I am going to try to install CQRLog V2.3.0 and see/document what dependancies it needs. That way I might get some idea of what is going on/needed when CQRLog is installed on a RPi under Raspbian. I still have V.1.9.0 as an armhf.deb file. This version installs fine on my RPi but it is getting quite old now. Thanks for the pointer to the .deb package for version 2.1.0. I think I had some success with it. Please forgive the long cut-n-paste below, as I try to document what I did. Package libmysqlclient-dev is not installed. Need to get 0 B/1,856 kB of archives. Selecting previously unselected package libhamlib-utils. So, I still get database errors, the database is not initialized (like it was for mariaDB?) and CQRLOG is still unusable. Thanks for the suggestion and your work. Let me know if there's anything I can do. Thanks for the update. I have not tried V2.1.0 but its interesting that it also needs "bits" from MariaDB. I am sure that V1.9.0 which installed fine did not need these dependancies. I think I still have a working version of V1.9.0 on an SD card so will have a look. V1.9.0 definitely works fine on a Raspberry Pi. Currently I have "broken" the boot on my laptop setting up the dual boot so I am no further on until I get that fixed. I had a dual boot Win7/Ubuntu 15.04 working fine. I installed Ubuntu 18.04 as I direct replacement for 15.04 and it broke the boot. Well after spending days with the above issues I decided on a fresh start. That booted up fine. Bit different to V8 Jessie. Now I tried to install CQRLog it installed fine. In used to .deb file using gdebi as the front end. No missing dependencies. It installed fine and starts to run. However it is giving an error when I try to create a log as it cant create a database. Says mysql server is not present. Well now I have CQRLog installing and running BUT it is giving an error that MySQL is not present. Not surprising see below. You get MariaDB and NOT mysql - strange! The Raspian forums have a lot of people commenting about this. Though MariaDB and mySQL seem compatible if you have another app. that uses mysql it will not be happy with MariaDB. Well after a re-boot CQRLog seems quite happy to use MariaDB. Still working on getting Rig Control working. 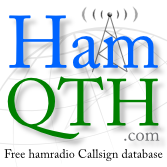 Have downloaded hamlib and installed rigctl. Going to get flrig running to check that I have working rig control. Easier to use than rigctl from the command line. I fired CQRLOG up from the Accessories menu, and it initially complained about not finding MySQL, but it then moved on to initialize the database correctly, it seems. Subsequent starts of CQRLOG found the database and started up normally. Looking forward to working with CQRLOG, especially with WSJT-X and fldigi. Thanks, again, to all who made suggestions. What I did to get it working was. 1 Installed Raspbian V9 Stretch. 5 Now the strange bit when I run mysql I get MariaDB from what I have read Debian have decided to have MariaDB and not Mysql in their repository. 7 Now I downloaded cqrlog as a .deb file for the RPi and used gdebi to install it. 8 CQRLOG now working without rigcontrol. 10 installed parts of fldigi have flrig working ut as I am not a datamodes person have not bothered with the whole package. All now working still have a few issues to sort out. Keep me updated with how it goes. Once you have it basically working I would like to discuss some small issues with you. Is it working to upload to LoTW? Hi, Dave, I also have CQRLOG 2.3.0 working (without rig control; my only radio is a Kenwood TS-430S without CAT). It also works with WSJT-X correctly. I'm working on fldigi today. However, can you upload your logs to LoTW? That's my only remaining problem. See my notes at https://www.cqrlog.com/node/2079 for further information. I'm happy to discuss other issues with you. I don't have much experience with the Raspberry Pi or with amateur radio in general. This is my rookie year with both. Great you have it working now. I used to have an TS 430S but it had terrible dry joint issues and it had to be sold "spares or repair"
Now I use an TS 590S in the shack. and a FT 817 for SOTA. Fortunately first two have the same CAT control. I have not tried uploading to LoTW but last weekend I was /P for the ILLW and will have a fairly big log to upload to ILLW. I still have to look at getting LoTW TQSL installed for Linux. Next step is to get WSJT-X running. I only want WSPR for antenna testing. Previously I had it installed under Raspbian V8 using a Signalink to the FT 817. It was going over to TX OK but I had no RF output. It seemed like a CODEC issue as no audio was being produced. I am fairly new to Raspberry Pies, but now have CQRLOG, FLDigi and WSJT-X running. My initial rig for test purposes is a TS-480 which is going to be the same as your 590. My rig data connection is a generic "soap on a rope" FTDI chipset USB to RS232 cable. No specific drivers were needed. Regarding audio, I use an external interface which seemed easy to setup. It's a G4ZLP Datalink. TNX fer advice. As WSJT-X is a bit "off topic" for a CQRLOG Forum I will drop you an email.